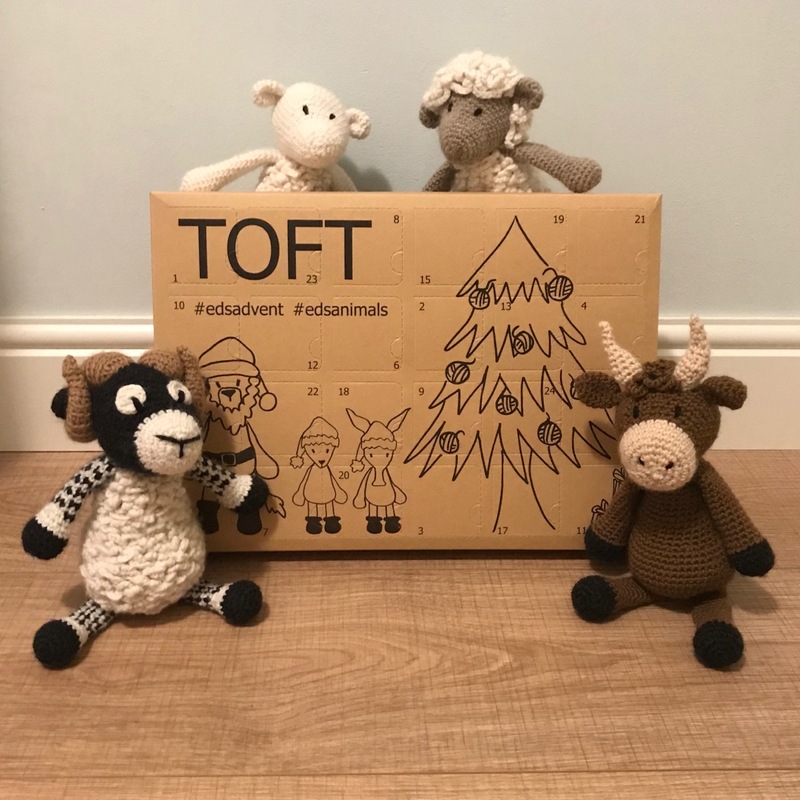 Those of you who follow The Stitching Sheep on Instagram will have noticed the daily updates of the Edsadvent CAL I joined. As today is the 24th of December it is the final day of the advent calendar and that means I have finished the animal! She is called Gloria and she is a Red Panda. The animal-species we were crocheting was not revealed until today. However, after stitching the body and the tail I had already guessed the animal we were making a red panda as I couldn’t think which other animals would have those feature and after making the head she really could not be anything else. Despite the initial disappointment of an opened advent calendar, which I wrote about in my last post, I really enjoyed this CAL. 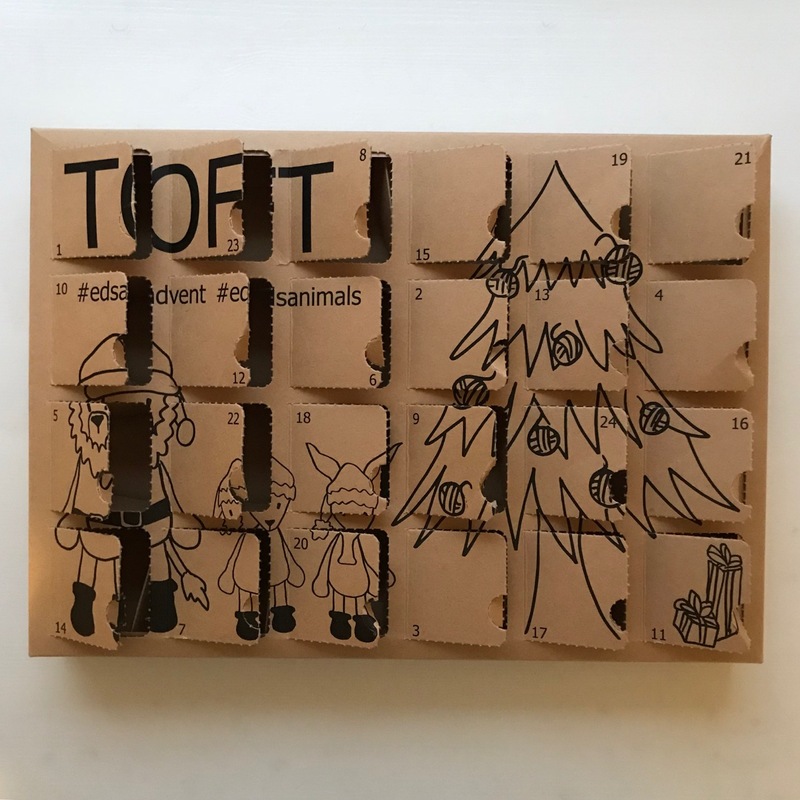 It is a really novel way of doing an advent calendar. Usually, you just get presents and you have to think about what you will make with them, but this way you get to make something with it too. It was really fun too, doing a daily rather than a weekly CAL. Fortunately, each section did not require too much time so I could complete each day after work. Opening each door was not very surprising though as you knew it would be a skein of Toft DK yarn and it often was not a big surprise which colour you would get. I learned a lot during this CAL as I had never done any loop stitches before, and I had never done any complicated colour changes either. The CAL has therefore given me the confidence to try more complicated animals, which I think is a real plus. I would definitely join next year’s CAL as I had so much fun crocheting it and sharing it with everyone. Good to know you had such fun, crocheting Gorgeous Gloria! What a great advent gift at the end of all your hard work! Such a lovely little guy to add to your collection. Een heel bijzonder beestje geworden. Ziet er leuk uit met al die losse draadjes. Heel speels. Dankjewel Mama, leuk he, maar was best een gepriegel! Echt schattig weer en leuk dat je het per dag ziet groeien. Fijne feestdagen Marlous en Ferdi. Dankjewel Will! Fijn dat je het leuk hebt gevonden om te volgen! Jullie ook hele fijne feestdagen!